What can I say, except AMAZING!!! The art was incredible, the detail was so exact you almost felt like you were looking at photographs. 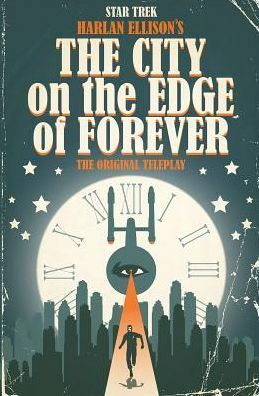 Captain Kirk and the ever wise Mr. Spock must travel back in time to unknot the time stream and restore their timeline. Loved the guardians, the mystic way in which they spoke got you thinking about the mosh fascinating topics of science fiction, time travel. This book story actually does the whole butterfly effect thing, where one individual can actually have a cataclysmic effect on the future. It's a good story, definitely worth reading.